It was a work day, and I usually go swimming at the local YMCA before work, but on the way to the Y, the clouds looks interesting, over land but not over the water. So I turned the car around and wet back for my camera and tripod. Then over to Robbins Farm in Arlington in time to catch the sunrise. 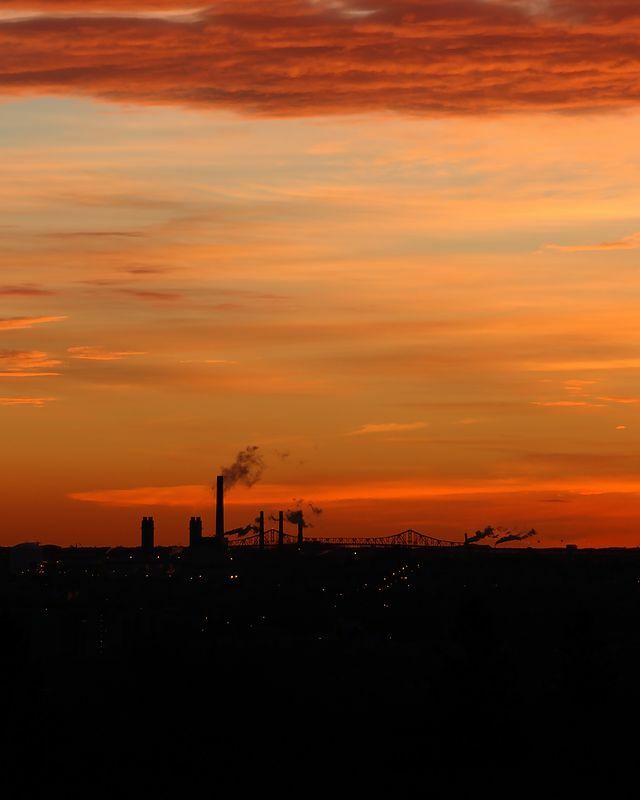 This picture shows the Tobin Bridge and smokestacks in Chelsea in the pre-dawn glow. I took this picture while waiting for the sun to rise; the patterns of the smoke in silhouette interested me.